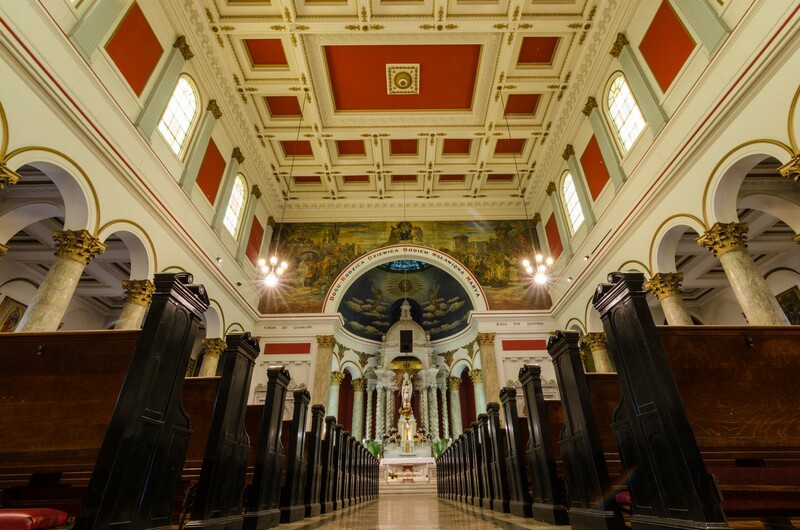 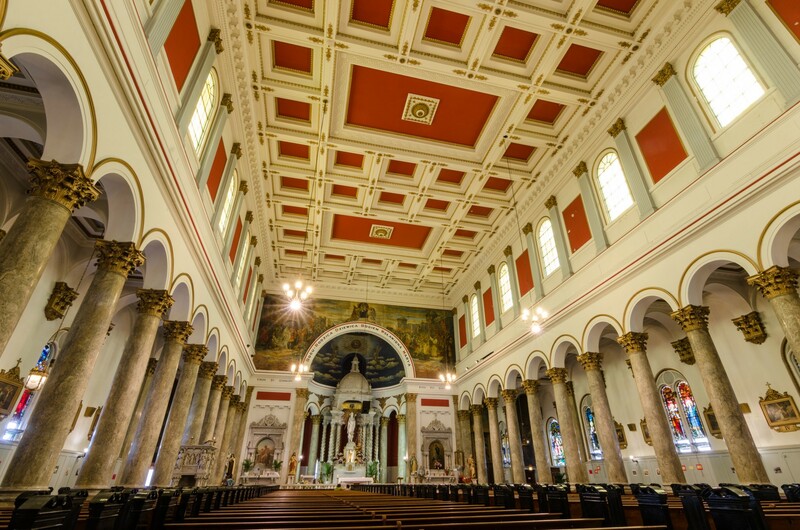 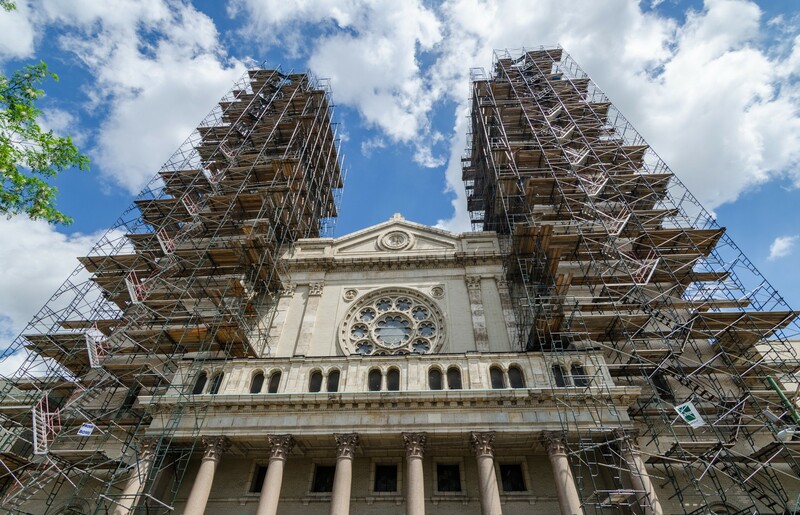 With its twin 185-foot towers and copper domes, St. Adalbert church was modeled after St. Paul’s Basilica in Rome. 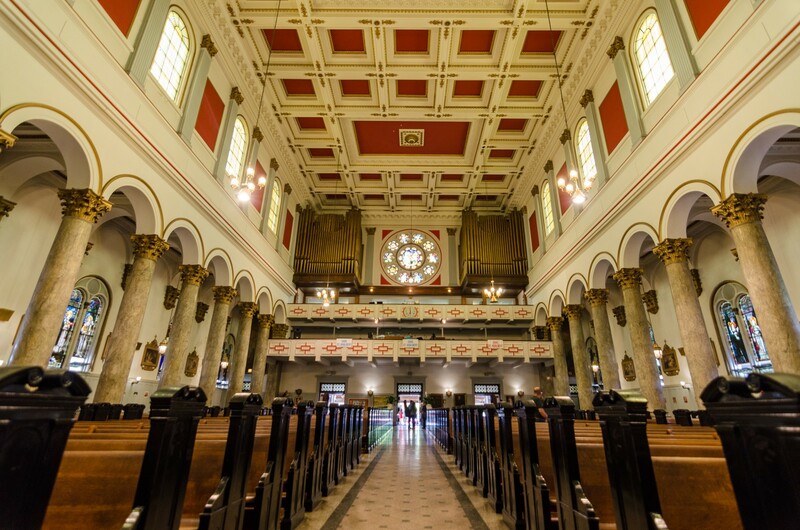 The building is a prime example of the Renaissance-Revival style. 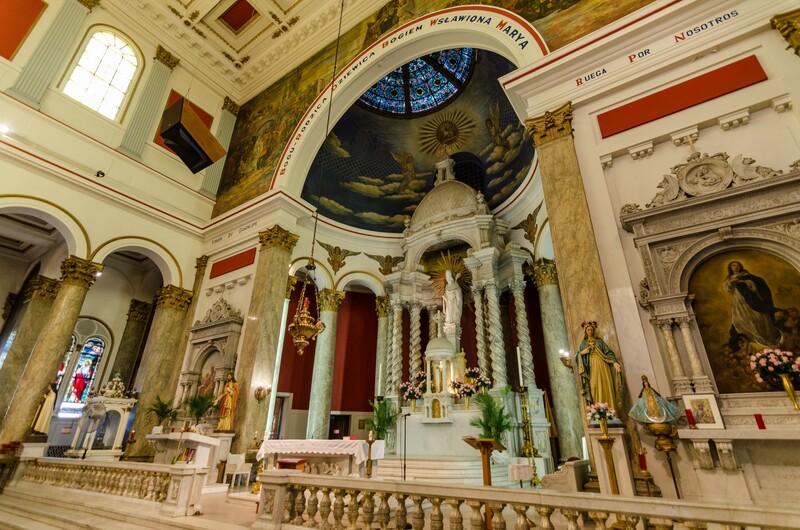 A white marble statue of St. Adalbert stares down from the massive, elaborate altar of Carrara marble. 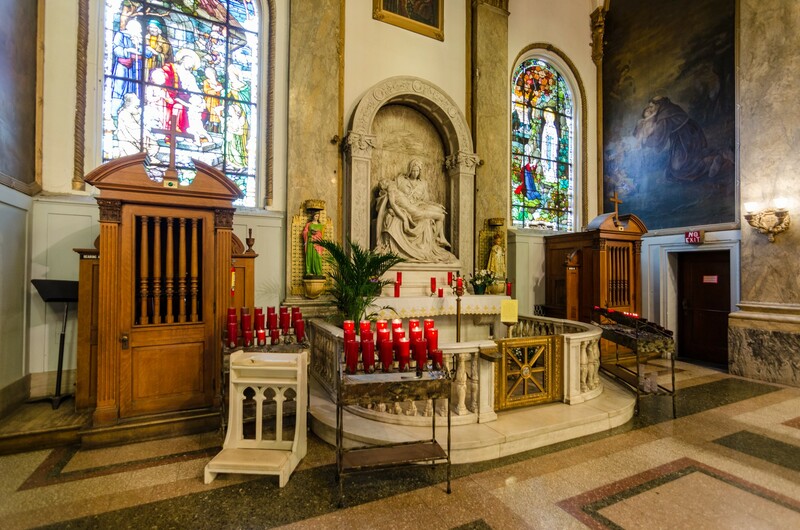 Another depiction of St. Adalbert is found in a stained-glass window by F. X. Zettler, a German studio that won a prize over Louis Comfort Tiffany at the 1893 World’s Columbian Exposition. 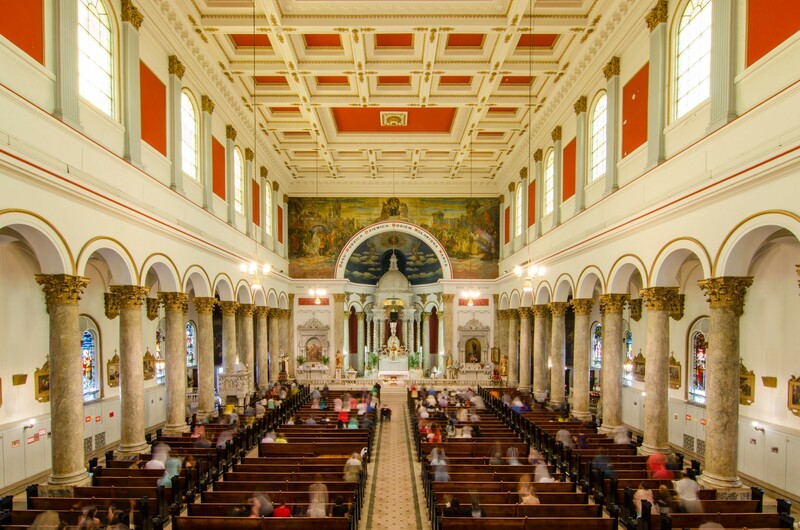 The parish was founded in 1874 to serve Chicago’s Polish population—a fact made clear by the stained glass windows depicting Polish saints Casimir and Stanislaus Kostka. 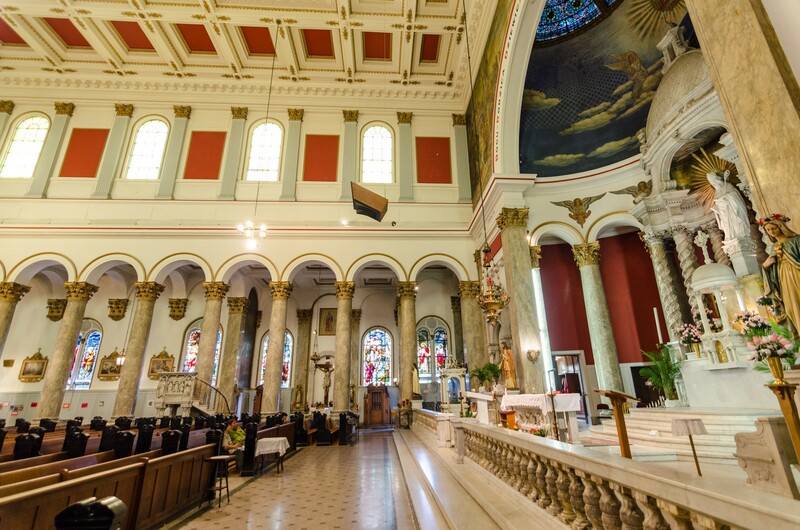 Today the church’s future is uncertain, but for now St. Adalbert’s continued to serve Pilsen’s Mexican community with a shrine to Our Lady of Guadalupe.